1. Learn to surf: Find a surf school or experienced instructor to help you catch your first wave on one of Mauiâ€™s famously beautiful beachesâ€”thereâ€™s no better place to learn how to surf! 2. Head to Haleakala National Park: This park has the highest vantage point in Maui and a higher concentration of endangered species than any other national park in the US. Hike the Pipiwai Trail to find tranquil pools fed by waterfalls and streams. 3. Visit Kaanapali Beach: This beautiful beach has soft, golden sand, a coral reef close to the shore, and panoramic views of the Pacific and nearby Lanai and Molokai islands. Every evening at sunset on the beachâ€™s northernmost cliffs, you can catch a cliff diver reenacting the 18th-century daredevil dives of Hawaiiâ€™s King Kahekili in a cliff-diving ceremony. 4. Take a tour on horseback: Upcountry Maui is the home of the paniolo, or Hawaiian cowboy. You can learn about these figures in Hawaiian history at Piiholo Ranch in Makawao while you ride over the regionâ€™s open pastures. You can also go horseback riding at nearby Haleakala National Park if youâ€™d prefer to catch an ethereal view above the clouds instead. 5. Go to the Ahihi Kinaâ€™u Natural Area Reserve. Head south as far as you can go down Mauiâ€™s southwest coast and youâ€™ll find this beautiful reserve. 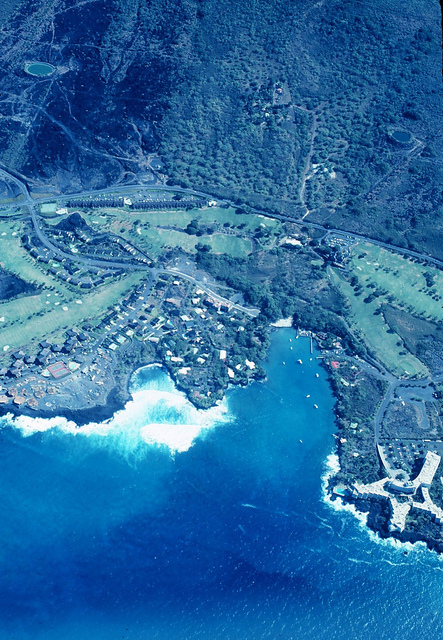 Itâ€™s in a remote area of black lava flows and vegetation, but not too far from Maui hotels like the Hotel Wailea. Itâ€™s a veritable fishbowl with calm waters, so itâ€™s great for snorkeling. You can also see the remains of an ancient village on the Hoapili Trail. 6. Walk the Lahaina Historic Trail: Over Hawaiiâ€™s history, Lahaina has been a whaling port, a mission site, a plantation settlement, and the Kingdom of Hawaiiâ€™s capital. The 55-acre tour is self-guided and takes you to 62 historic sites, including a jail for sailors from the 1850s and a temple built by Chinese immigrants. 7. Take a coastline cruise at sunset. Head to Mauiâ€™s southern coast to find a cruise where you can appreciate the exquisite sunset. 8. Go on a zipline tour. Take in views of beautiful skies, valleys, and vegetation while flying through the air in Mauiâ€™s mountainous upcountry. There are several companies that offer zipline tours, and some of them put a portion of their proceeds toward local land-preservation. 9. Visit the Maui Ocean Center. At the Ocean Center, you can see stingrays, sharks, and even baby turtles. Thereâ€™s also an exhibit that lets you learn about Hawaiian history and traditional fishing techniques. 10. Learn to hula: The best way to get into the Hawaiian spirit is by spending an hour or two learning how to hula. Staff at all the hotels on Maui will be able to steer you toward a lesson, including â€œkeikiâ€ hula lessons for children.